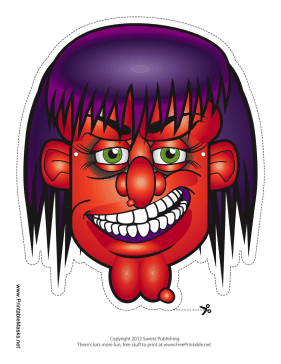 This red and purple witch mask has boiled red skin, scraggly hair, and even purple gums. Wear this mask and add a witch's hat for a truly terrifying witch costume. This mask is free to download and print.